The Centre Owner and staff are committed to providing children and families with a co-ordinated approach to a warn, nurturing and engaging environment that celebrates diversity and the right of every child to have access to high quality care regardless of their individual needs. We understand the important role the Centre plays in nurturing and educating the children in our care and through our staff development, loving relationships based on trust and security is formed. Your children come first and meeting their needs is our priority. Our aim is to provide an environment where your children can grow and develop to their full potential. For you as parents, we endeavor to provide a flexible environment which best suits your needs. Our hours of opening are designed to ensure that you can meet your work commitments, knowing that your children are safe and secure at child care with us. Each of our team members will discuss with you how best to work with your child- their likes, dislikes and particular interests and needs. Our open door policy invites you to call in whenever you wish to spend time with your child. We also seek your feedback on our centre operations to ensure that we are meeting both yours and your child’s needs. 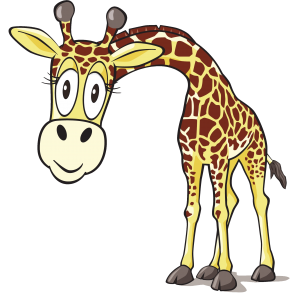 One of our parents commented, “We currently have two boys at Giraffe. One is in the preschool room while the youngest is in the nursery. The staff is so welcoming, friendly and supportive of us as a family and both boys individually. Both boys love going each day and are stimulated and challenged with the various programs. While I can’t be at home with the boys full time, it is reassuring to know that they are somewhere where they are cared for, loved and supported”. Giraffe Early Learning Centre Mosman offers quality childcare in the Mosman and surrounding areas. Catering for babies, toddlers and preschoolers our Mosman childcare centre encourages a day care environment that makes the children feel safe whilst enjoying the freedom to express themselves as individuals. Our Childcare Centre provides nutritional meals, nappies and provide a strong foundation for early education. The critical importance we place on children feeling safe and happy in our environment is evident in our generous transition period. We offer to our families a period up to 3 weeks, where they can bring their child in for a 3 hour play during the day at an agreed time, every day of the week, free of charge. This is to show our commitment to not only your child feeling content but also to parents. We understand this can be a very stressful time for parents, and we recognise that this time gives you the opportunity to discuss any concerns and to support your child through their settling in process. Our team comprises of a very diverse cultural background. We currently have 43 staff members working across the week in 8 rooms. We have very consistent staffing and do not employ agency staff, as this is in line with our values around consistency for children. Our staff team are highly qualified educators guided by an Educational leader to provide a quality program for your child. All staff are at varying levels of further education and are encouraged and supported by the Centre Owner. Our staff are professional, nurturing, sensitive and committed to the well being of the children and parents of Giraffe Early Learning Centre. Your children’s needs come first and meeting their needs is our priority. Our staff also attend regular training days throughout the year which enables them to initiate new programs and systems and incorporate these in to our Centre.